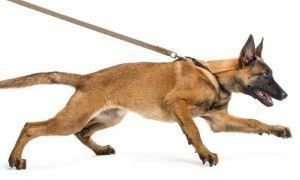 Specializing in basic & advanced obedience, detection, nosework, and personal protection training, Nick White is the owner of Off-leash K9 Training and discusses his training methods and how to build confidence in your dog. 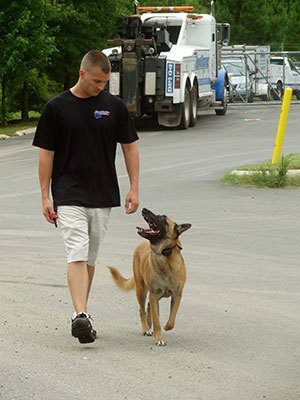 Nick White is the owner of Off-Leash K9 Training and he is based out of Northern Virginia; however, he has 9 locations throughout the United States and growing! Nick White is a former US Marine Combat Veteran who specializes in off-leash training. Nick is a former US Marine Combat Veteran and former US Secret Service. He has worked with and taught some of the top names in dog training! 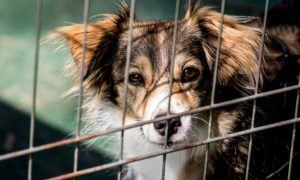 He was recently invited out to Vohne Liche Kennels by owner Ken Licklider to work with and teach some of his staff on electronic collar training! Nick has also worked with one-on-one with Andrew Ramsey on detection training, Andrew was one of the top MWD (Military Working Dog) trainers at Lackland Air Force Base. For protection, he recently spent a lot of time working with Bob Solimini, who is the most accomplished police/sport decoy in the United States. Nick was also given the honor of being made part of Sport Dog’s Pro Staff! Their Pro Staff is a list of approximately 30 trainers who Sport Dog considers the TOP ecollar trainers in the world! 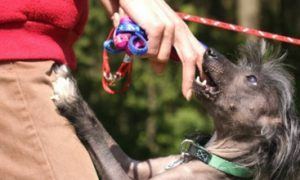 At Off-Leash K9 Training, they specialize in basic/advanced obedience, detection/nosework, and personal protection training. As you will see on the testimonials page of their website, they are the choice trainers for some of the top celebrities and athletes! As you see, their client list includes: UFC World Champion Jon “Bones” Jones, Ron Jeremy, NBA All-Star John Wall, Charlie Murphy, Kane Hodder (“Jason” from Friday the 13th), 8x Mr. Olympia Ronnie Coleman, DC 101’s Elliot in the Morning, the staff from Operation Repo, 3x UFC Champion Rich “Ace” Franklin, Olympian and World Champion Boxer Roy Jones Jr., and many more! to apply, quite simply respond to our comment together with your address and we’ll ship it out over the next business day.